Once in a while we all have our brownie baking day. When we don't feel so good inside, we make something that will keep us occupied for a while, something that will keep our thoughts away from things we don't want to think about. We do something that will make us look forward to a nice cheerful moment that is soon to happen...after the brownies are done. Brownies surely brings smiles, smoothes away our frowns and soothes our worries with its sweet, sugary chocolatey goodness. I don't know how many times I've made brownies. It's quick and easy and always yummy. We take turns choosing what to add to it: nuts, M&M's, choc chips, peanut butter chips, etc. I want it with peanut butter this time. I keep thinking of fudge. Maybe condensed milk. I added cocoa powder to some of the dough and swirled it in. I don't know if this is technically a blondie because the base is the peanut butter dough. Well, it came out pretty brown so let's just say it's a brownie. It had crusty swirls on the outside and was fudgy inside. Just the way I like it. I'm smiling now. Cream the butter, peanut butter and brown sugar together. Add the eggs, 1 c. condensed milk and vanilla and blend. Add in the flour, salt and baking powder and mix. Take out 1 1/2 cups of the batter and to that mix in the cocoa powder and 2 tbsps. of condensed milk. Transfer the rest to a lined 9" x 13" baking pan. Drop dollops of the chocolate batter into the peanut butter batter and swirl with a knife. Bake for 25 minutes or until the edges start to pull away from the sides of the pan. Do not overbake if you like them fudgy. The middle will still be squidgy but will firm up when cooled. Cool in the pan for 30 minutes. Transfer to a baking rack to cool before cutting into squares. I would take this anytime, during low days or happy days. I LOVE peanut butter and to have it a a fudgy brownie amkes me love this brownies/blondie will definitely make my day! These look so divine. I am now craving brownies. I was going to whip up some muffins but I think I just changed my mind. Love the addition of peanut butter. Beautiful! 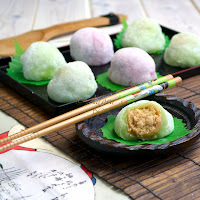 My hubby will go crazy over these! He's a peanut butter fanatic. hahaha! WOW, these brownies look so delicous, I would so love to eat one-or two :D- of these beauties... :) Your photoes are stunning! !Thank you so much for sharing! Love the fudgy swirls. Now these certainly could bring a smile to anyone's face. Just beautiful! Peanut butter brownies = out of the world! Wow, Am sure to try this one! Peanut butter and chocolate makes everything feel better. Great recipe. That would make any bad day LOADS better. Awesome brownies :) Buzzed! I agree that baking is good therapy for one of those days when the mood is not that great. Besides, that you usually end up with someting delicious like these brownies-they look very tempting. Yum! This treat will definitely brings a smile to everyone! I hope you don't mind me borrowing your recipe, I have a big jar of peanut butter that no one seems to use , this would be great w/ your extreme brownie goodness! Thanks a bunch! Blondie, brownie, it's all good! I can see how this would be a mood-lifter! mmm very very delicious looking! Great recipe Adora! Wow... they are gorgeous and sound delicious! I could go a square of your brownies right about now! Love the chocolate PB combo. And I hope what ever made you sad is better, even with the brownie induced smile. Wow! Brownies - Brilliant minds thinking alike! I have to say that peanut butter and chocolate is my favorite flavor combination! Not only do these look amazing, but your photos *sigh* they're amazing! A basket full of tasty brownie. How wonderful it must be to be in the kitchen baking these brownies. I love brownies but never made one. Eventually it will change! These look lovely! Thank you for sharing your recipe and thoughts of your day. Baking is certainly cheaper than going to see a therapist, but the catch is that we might have to pay for a personal trainer instead;-). These brownies induced a big smile on my lips and I wasn't even feeling bad in the first place. Definitely a feel good food right there. Delicious and such a pretty swirl. Wow what great photo's love them all! I totally have days like that and I too bake things to feel better. It is therapeutic. Impossible to think of whats bugging you when you have to concentrate ... these would make me smile too. Saving this one. 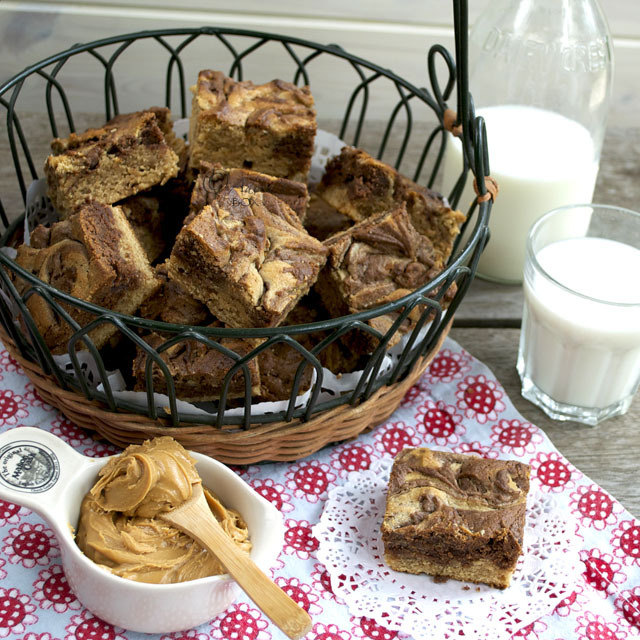 The pb-chocolate swirl brownies sound awesome, a great combo for sure! What a delicious recipe! And you are so right! They are perfect with a cup of milk!! Call them whatever you'd like my dear. 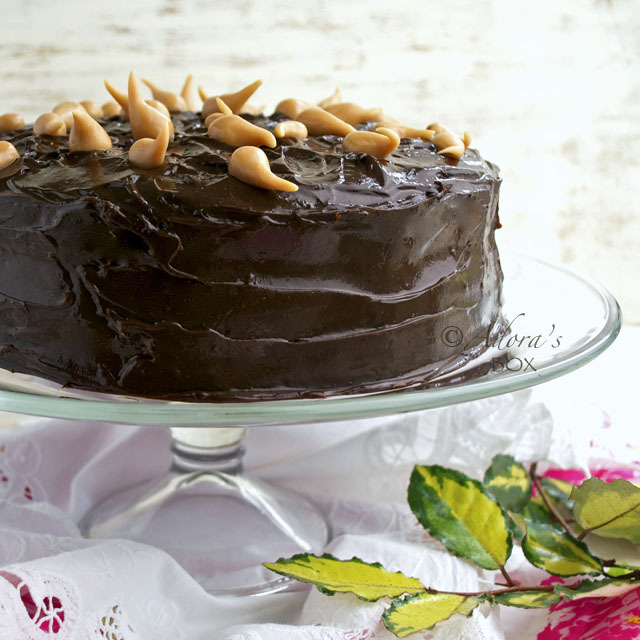 Chocolate and Peanut butter are a match made in heaven. I agree baking does let you concentrate on something else. Hope you have a great weekend. wow, its very filipino dessert with peanut butter, I like it. HOLY Brownies!!! These would definitely make my day!! :) I can't wait to sink my teeth into these! in my opinion baking is such a relaxing activity. 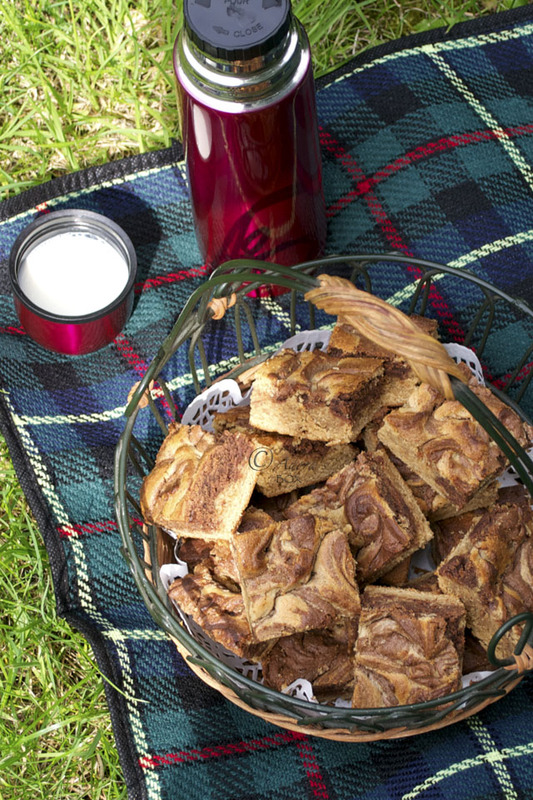 Your brownies look great, love the peanut butter swirl. Wow! Those look like some serious brownies. 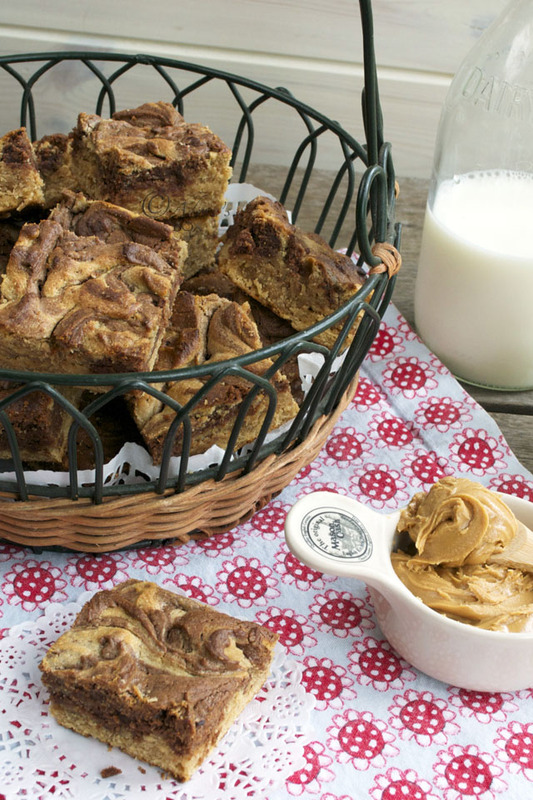 I have been craving some pb brownies lately - guess this is my sign to get in the kitchen! 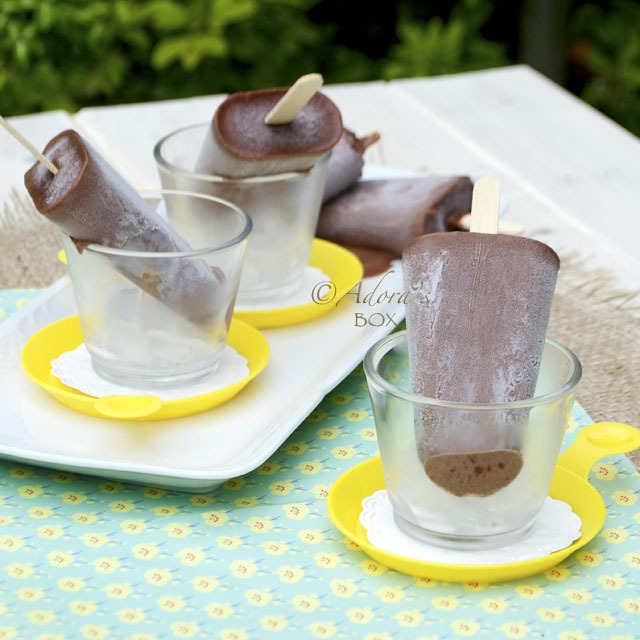 I would love to have some of these right now! 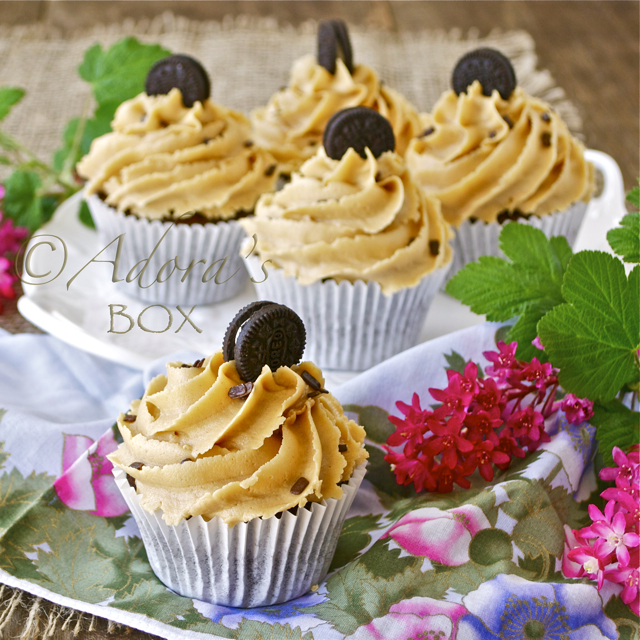 The swirl in them looks beautiful and you just cannot go wrong with peanut butter and chocolate!